Overall digital sales were strong, hitting $334 million in 2017, up 12 per cent on the previous year. Full digital game downloads were up 21 per cent on 2016 sales. Digital extras also increased 17 per cent year-on-year. Home console hardware and accessories sales both experienced growth, up 10 per cent and six per cent respectively. 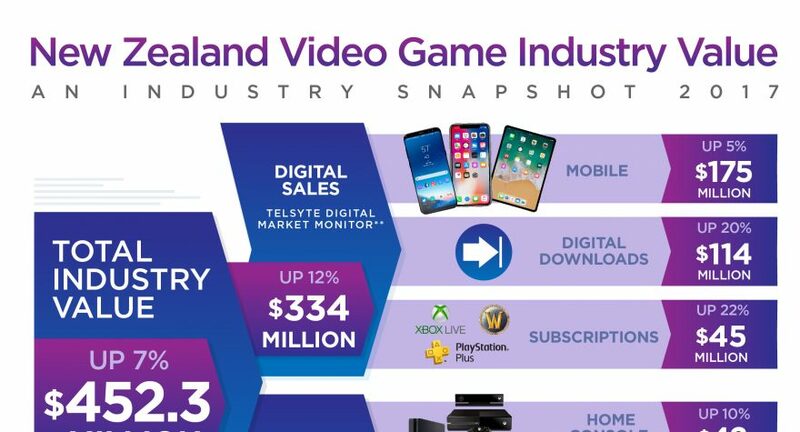 Auckland, New Zealand – 1 March 2018 – New Zealanders continue to embrace video and computer games, as evidenced by new sales figures released today by the Interactive Games & Entertainment Association (IGEA). Consumer spending on games and hardware reached $452.3 million in 2017, a seven per cent spike on the previous year’s sales. According to data from The NPD Group, overall physical retail sales experienced a slight four per cent decline, however this was offset by an increase in sales volume, which was up four per cent in 2017. Home console hardware and accessories sales also increased last year. Kiwis embraced both new and retro consoles. PlayStation®4 continued to dominate the hardware sector, with Xbox One bolstering category growth with the introduction of Xbox One X. The Nintendo Switch also entered the market, performing well alongside the Nintendo Classic Mini: SNES and Nintendo Classic Mini: NES. An infographic of the 2017 New Zealand sales data is available to download here. 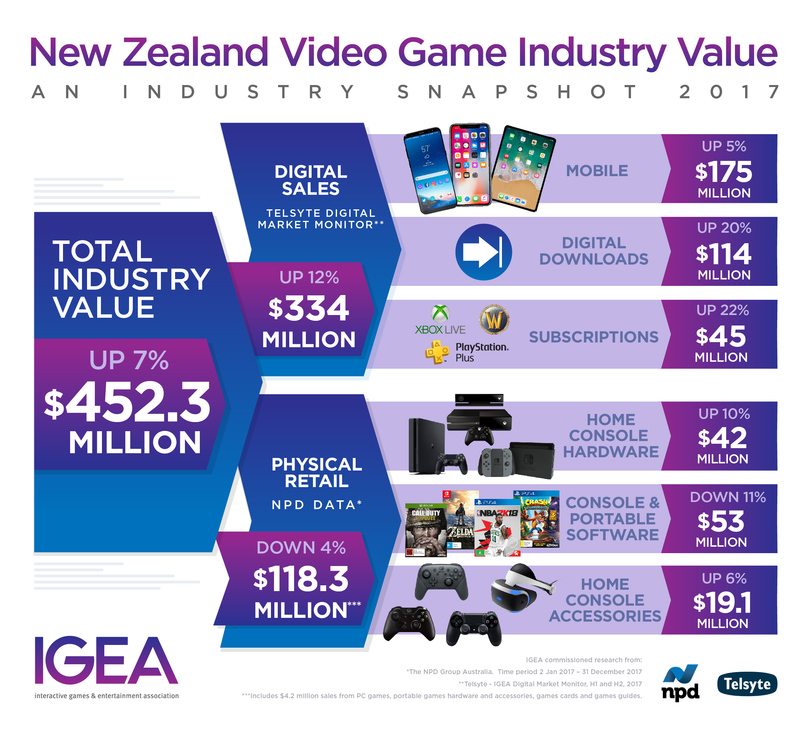 Since 2009, IGEA has provided a review of the state of New Zealand’s video games industry using commissioned research from The NPD Group. With the growth of digital gaming, the NPD data has been augmented with research from Telsyte to provide a complete picture on the state of the industry. IGEA is the industry association representing the business and public policy interests of New Zealand and Australian companies in the computer and video games industry. IGEA’s members publish, develop, market and/or distribute interactive games and entertainment content and related hardware including mobile and handheld games. For more information, please visit www.igea.net. For interviews with Ron Curry, CEO of IGEA, please contact Amy Rathbone, Espresso Communications, on +61 2 8016 2200 or igea@espressocomms.com.au.